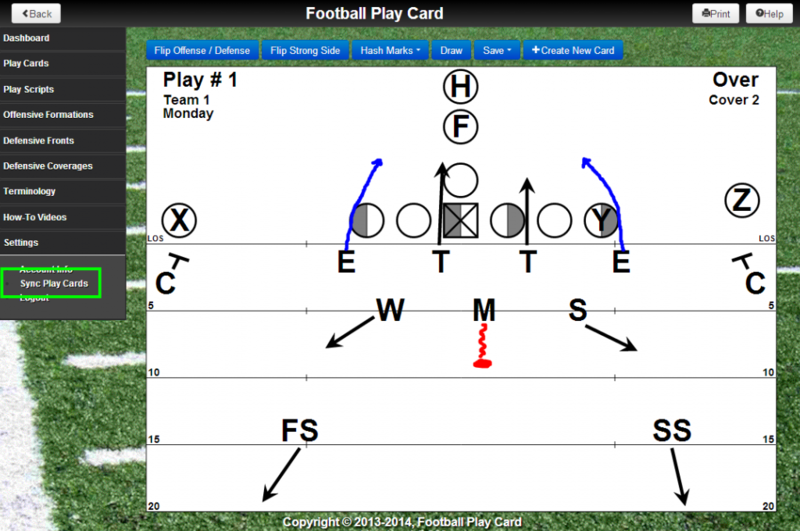 Football Play Card now has the ability to share play card binders with multiple coach and player accounts (Contact Support@FootballPlayCard.com for setup information). Version 1.6.645 of Football Play Card now has the ability to manually sync changes. The purpose of manual sync is to save your changes that were made in Offline Mode once internet connectivity is resumed and to get the latest changes from other coaches and players with shared binders. This entry was posted in New Functionality and tagged Football Play Card, New Functionality, New Version, Offline Mode, Practice Field, Share. Bookmark the permalink.